Average True Range (ATR) stop loss method is more popular among the experienced traders. In some countries like India it is also known as Day Moving Average (DMA). Please note that MA (Moving Averages are different than ATR or DMA). Simply put, Moving Averages are calculated on the closing price of a stock on daily basis. It can go from last 5 trading days up to 200 trading days. Moving Averages are mostly used by stock traders who buy stocks for the short or medium term, not Intraday or day traders. How Is the ATR / DMA Calculated? The percentage of the difference between the highest point and the lowest point of daily moving averages of last few days is taken into account. Day traders usually take last 5 days Average True Range, ATR or Day Moving Average, DMA. Some take last 14 days moving averages. Positional traders usually take last 30 days ATR or DMA. 71.77 is 0.87% of 8256.00 the current spot Nifty price. Therefore if a day trader has bought Nifty Future to trade Intraday when Nifty spot is at 8256.00 his Stop loss will be at 8256-72 = 8184.00, and sell target, profit will be at 8256+72 = 8328.00. If at the end of the day the trade is in small profit or loss the day trader will exit as the trade was initiated for Intraday day trading and not positional trade. 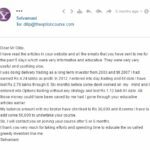 Average ATR stop loss method was new for me, Thanks for explaining that topic Dilip sir!! 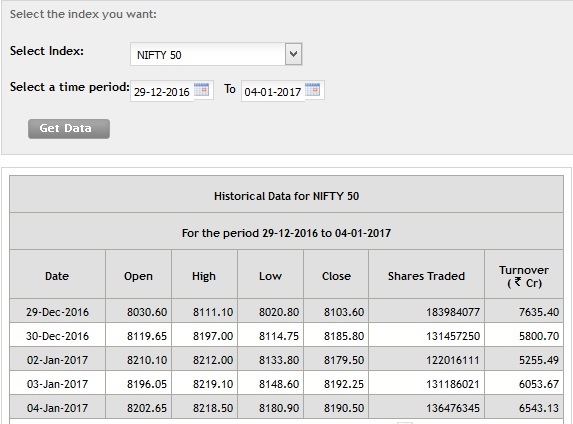 How to match 71.77 with 8256 spot nifty price. Chandrakant I could not understand your question properly. I request you to ask again clearly or read the article agian I have explained in simple terms.